One of the many fascinating sidebars at the first-ever TCM Classic Film Festival was their tribute to The Hustons: A Hollywood Dynasty. 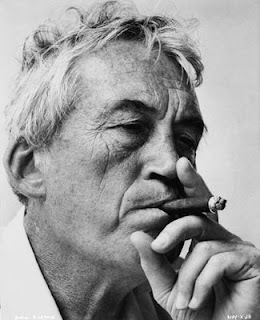 Walter and John Huston were acknowledged with a screening of The Treasure of the Sierra Madre (1948); Anjelica Huston with her turn in Crimes and Misdemeanors (1989); and her half-brother Danny Huston with his recent performance in The Proposition (2005). 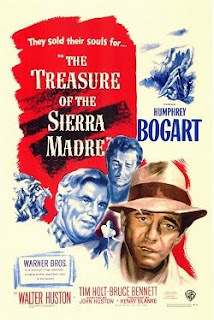 The TCM notes synopsize Treasure of the Sierra Madre: "With this 1948 Western, John and Walter Huston went into the record books as the first father and son to win Oscars and, eventually, two thirds of the first family to produce three generations of Oscar winners (including Anjelica Huston). Rarely have the awards been so well-deserved. Sadly, the film and star Humphrey Bogart didn't do as well. In fact, though most critics now hail Bogie's Fred C. Dobbs as his best performance, he wasn't even nominated. Perhaps his decidedly unsympathetic portrayal of paranoia was too far ahead of its time. 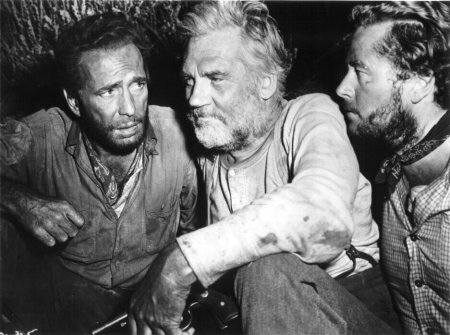 Indeed, The Treasure of the Sierra Madre set new standards for Hollywood. Filmed mostly in Mexico, it was one of the first U.S. films shot almost entirely on location. Its cynical tale of three prospectors divided by greed after they strike it rich pointed to the more adult Westerns of later decades (i.e. Sam Peckinpah's films). 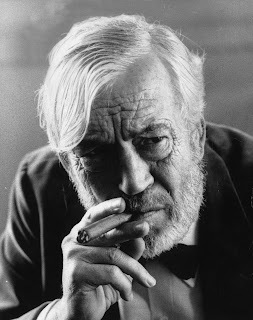 B. Traven's novel reminded John Huston of his days with the Mexican Cavalry when he first read it in 1936, and he dreamed of directing his father as Fred C. Dobbs. 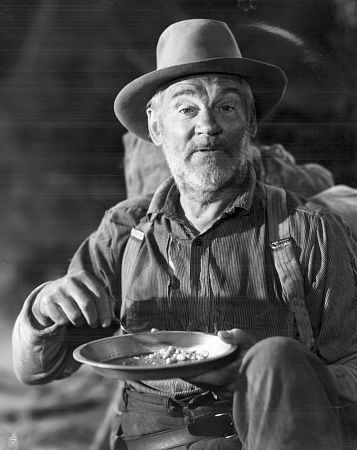 By the time he got to make the film in 1947, the elder Huston had outgrown the lead, so his son re-shaped the role of the elderly prospector for him. Not only did he have to convince the matinee idol to accept a character role, but on the first day of shooting he had to wrestle his father's false teeth from him to make sure he played it right. Once he heard himself deliver the lines, Walter Huston knew it was the right choice. In fact, he was so good, his son started getting memos from studio management warning him not to let him steal the film from the star. That was hardly a danger; Bogart matched him scene for scene. But when award season rolled around, it was the Hustons who came out on top, with honors from the Academy, the Golden Globes, the New York Film Critics and the National Board of Review." 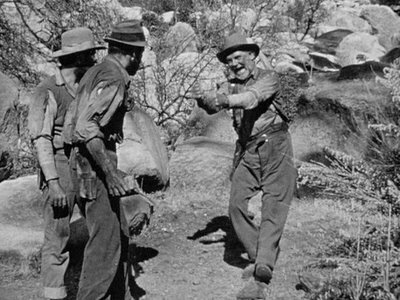 The Treasure of the Sierra Madre is not only my favorite Humphrey Bogart film but, quite possibly, one of my top 10 favorite films. I have seen it countless times on television, and a few times in movie theaters, but never in such a pristine print as shown at the TCM Classic Film Festival. 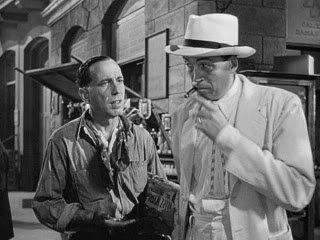 I love it for many reasons, from Bogart's ability to play the greed-addled Fred C. Dobbs to Alfonso Bedoya needing "no stinkin' badges"; every performance in this film is outstanding and exquisitely embodied. Walter Huston's jig at finding gold matches my enthusiasm for this timeless B. Traven story. I attended TCM's morning screening of The Treasure of the Sierra Madre in Grauman's Chinese Theater with Anjelica and Danny Huston present to introduce the film by way of an on-stage conversation with TCM host Robert Osborne. Robert Osborne: I have to ask, is it tough being a Huston? Anjelica Huston: Not this morning. Osborne: But aren't there expectations that come with being part of the Huston clan? Anjelica Huston: I think yes; but, we had quite an exacting father. He liked when we put our best foot forward and we tried to do that, right Danny? Danny Huston. Yes. I mean, he's such a giant of a filmmaker that to measure oneself up against him is quite difficult and one seems to be having to crane one's neck to look up high; but, in a sense, he was very supportive of us as filmmakers and I found this little place beneath this giant that protected me from the harsh rays of the sun. It was a gentle feeling and one of encouragement. Osborne: Did you talk to your father about his films very often? Or was that something that wasn't talked about much in your family? Danny Huston: Something that brings me to The Treasure of the Sierra Madre was an experience I had at the Cannes Film Festival where he was showing Under the Volcano. The producer, Michael Fitzgerald, and I stayed up all night waiting for the reviews and the following morning Michael Fitzgerald was translating the reviews from French to English. But my father didn't appear to be listening. He had this faraway stare. Michael said, "John? Are you listening?" And he said, "This reminds me of when I stayed up all night to read reviews for a play that my father put on, which he'd wanted to do his entire career: Othello." 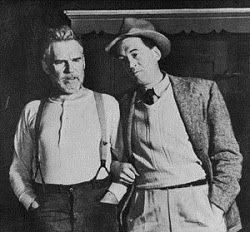 Walter Huston reached a point in his career where he could put this play on in New York. Othello was applauded at the end but my father had a nagging feeling that maybe it hadn't gone as well as he'd imagined. My father stayed up all night and the following morning read the reviews and they were terrible, absolutely awful, and he thought, "Oh dear. What am I going to do?" Danny Huston: I suppose you've all seen it? Osborne: How do you both feel about this film in your father's catalogue? Is it a particular favorite of yours? Have you seen it recently? Anjelica Huston: I haven't seen this film recently. 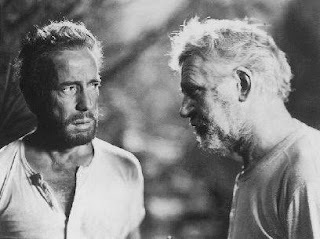 I think maybe 15 years ago I saw it on television; but, it was the first film actually of my father's in memory; this film and The African Queen. Growing up on the West Coast of Ireland without television and just the movie projector; all the films that I saw were my father's films. The first time that I saw a film that wasn't my father's was something like Gidget Goes Hawaiian. The Treasure of the Sierra Madre was a staple at our household and there was always this endless routine of looping the projector—because no one really knew how to loop the projector—so there was always an incredible anticipation of whether, in fact, we could even get the movie projected. Eventually, I guess I've seen this movie maybe ... well, certainly over 50-70 times in my childhood. So I know it pretty well but I can't wait to see it on a big screen again. I know it will bring back a lot of memories. I used to have a little black poodle growing up called Mindy and—every time the donkeys ran—Mindy would run after the donkeys. I always enjoyed that moment. I hope you will too. Danny Huston: It was a deliciously noisy little projector, wasn't it? And usually it was a very scratchy print. But it was a way for us to say hello to our grandfather and in a way it was a rather glamorous family album. It's so wonderful to be able to share it with you all today. Thank you, Robert, for being such a champion of these films. Anjelica Huston: I was recently up in Vancouver working on a film and—in my spare time—I just laid in my bed in my hotel room and watched TCM with the great Robert Osborne conducting. I have to say, it's such a pleasure to see these beautiful old movies so carefully and lovingly presented without commercials. Osborne: I have to tell you a little story. I don't want to take this up from talking to you guys; but, at the Telluride Film Festival a couple of years ago they asked me and Sam Goldwyn, Jr. to present Dodsworth at the festival. Sam's father had produced it and he had come to talk about the making of the film. This was the year that Babel and King of Scotland and all of those films were out—these were the hot new movies—and they don't show old films at the Telluride Film Festival; but, they decided to show Dodsworth. It turned out—it was so incredible—it was the hit of the festival. It went so well, they had such a crowd, that they asked, "Would you and Sam do another [screening]?" We did. They had a third showing and that had never happened before. 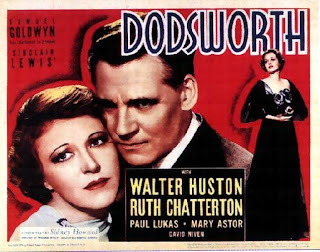 It was that film of your grandfather's and it's so magnificent—particularly for anybody who really knows Walter Huston from The Treasure of the Sierra Madre—to see him as a dapper, elegant leading man in Dodsworth. To have that legacy in the family is pretty terrific too. Anjelica Huston: Yes, I actually met my grandfather through film. 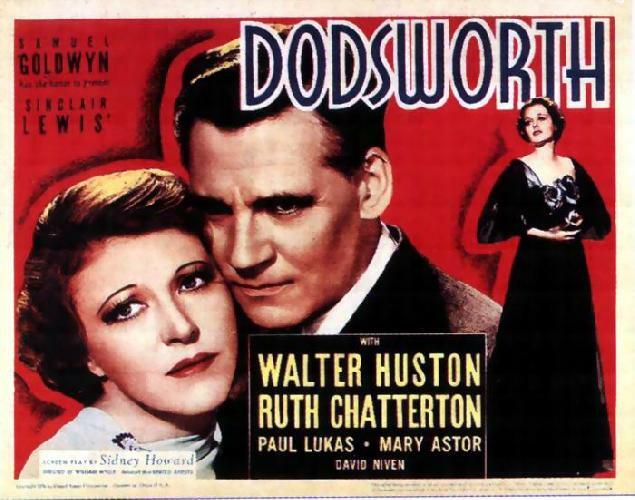 If it hadn't been for Treasure and Dodsworth, I wouldn't have known anything about him; but, as it is, I have a very clear picture of him as an extraordinary actor because these two parts—as you were saying—are so diverse. It's a treasure for me to have Treasure. Osborne: Is there a personal favorite of your father's films beyond The Treasure of the Sierra Madre? Danny Huston: This is definitely my favorite for many reasons, including sentimental reasons; but, the lesser-known films such as Fat City, Wise Blood, The Misfits of course—Eli Wallach was here the other night; what a thrill it was to meet him—there are so many. But if I had to choose, this would be the one. Another little story, if I may, and hopefully I won't ruin the end. It was a beautiful Spring morning and my father and his father (Walter) decided to go on a picnic. The hillsides were covered with wild flowers. My grandfather and his wife at the time, Nan, got out of the car and they laid out this cloth and my grandfather pounded this flower and hit it again and absolutely destroyed it. Then he turned around and hit another and hit another—the hillside was covered in these beautiful blossoming flowers—and then he stood up and, like the god Pan, pounded another and then pounded another again and Nan said, "Walter! Stop it! What are you doing?" There was this sort of panic in the air. He said, "I'm stopping Springtime." 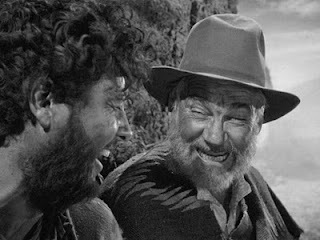 That was apparently the genesis of the wonderful jig dance that he does in Treasure of the Sierra Madre, combined with this ironic laughter in the face of disaster. Osborne: Now was it true from your family history that your father had a difficult time talking your grandfather into doing this movie? Danny Huston: I believe he had to take his teeth out and my grandfather was not that happy about it. Osborne: Because he had been seen in Dodsworth as a very elegant man so Treasure was a big stretch for him? Danny Huston: I guess. As I say, he was not too keen on taking his teeth out. But it did win him an Oscar®. 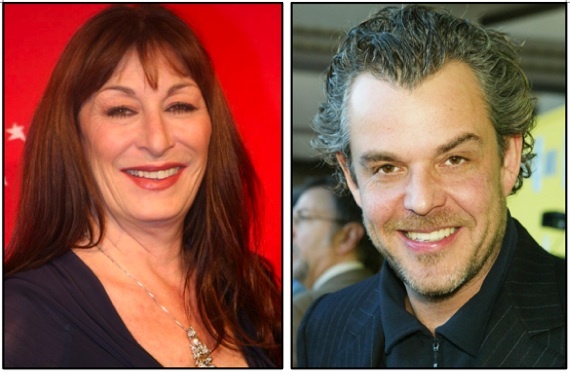 Anjelica Huston: Dad asked Jack Nicholson to wear a toupee for Prizzi's Honor. He kind of liked to do that sort of thing. Osborne: What would you say is maybe the one thing you miss most about your father? Anjelica Huston: That's a big question. I'd say just the voice. That voice that resonates through my being, every nuance in it, that's what I miss most about my dad. Danny Huston: Yes, I would agree with that. Sometimes it was like speaking to God. Anjelica Huston: He played God in The Bible. Danny Huston: And Noah. And directed it. Osborne: So what are you doing now? You mentioned, Anjelica, that you were in Vancouver making a movie? Anjelica Huston: I was making a movie—it's untitled; I wish I could give you a title—with Seth Rogen and a wonderful young director Jonathan Lavine, also with Joe Gordon-Levitt, Bryce Dallas Howard. I think it's going to be a very beautiful film. I play the mother of a boy who gets cancer. It's moving and it's funny and I'm proud to be part of it. Danny Huston: Well, forgive me for being crass; but, You Don't Know Jack airs tonight at 8:00 on HBO. It's about Dr. Kevorkian, with Al Pacino. Osborne: But since we're here tonight, we'll get another chance to see it because HBO won't show it just this once, right? Danny Huston: That's correct. I'm competing with myself unfortunately because there's a screening of The Proposition tonight—of which I'm very proud—at the same time. Osborne: Thank you both so much for participating and adding so much glamour and clout to our festival and for sharing the memories of your father and this movie. We can't thank you enough.